Cohen Insurance Agency is dedicated to providing you and your family with the coverage you need, at a price you can afford. We offer a complete line of insurance products which include but are not limited to: Auto, Home, Business, Motorcycle, Speciality Vehicle, Life, Health, and Investments. We are a Broker Agency, which means you have dozens of Insurance Companies to choose from, while maintaining a personal, 1-on-1, relationship with our friendly Staff and Agents. At Cohen Insurance Agency, you are more than just a client, you are a friend. 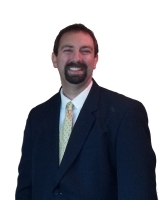 As The owner of Cohen Insurance Agency with over 16 years in the Insurance and Financial Industry; Joshua works as your Financial Counselor and Consultant and has developed a meticulous follow-up system to keep you informed. It’s comforting to know exactly how your Financial Planning and Insurance needs are being met, and it’s comforting to work with someone who has your best interests in mind. Joe knows that thoroughly understanding your perspective is the key to achieving results when he helps you with your Financial Planning and Insurance needs. That’s why he listens, truly listens, to your goals and immediately develops an open line of communication that continues throughout your relationship. He then prepares a plan tailored to your unique goals and enacts it with energy and a positive attitude.